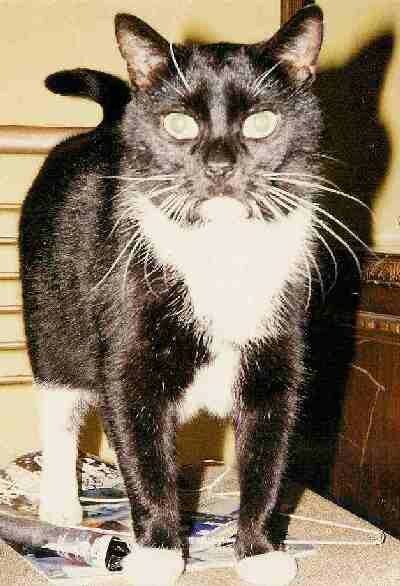 Whitey was a mixed-breed black and white cat who lived with our brother Lyle Garon when he lived in Plymouth, Minnesota. 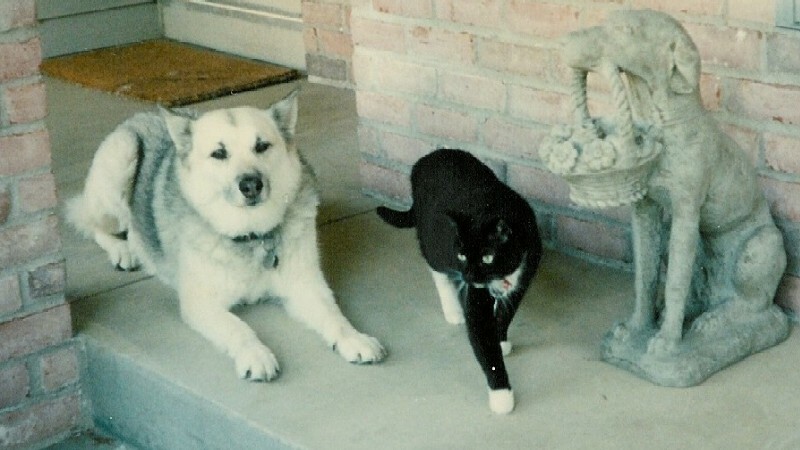 Whitey and Garrett were "cousins," related by way of the extended family tree of their two-legged companions. Ask Lyle to tell you the story about how Whitey got his name. This picture of Whitey was taken in November 1992. Whitey is shown with Ashley. 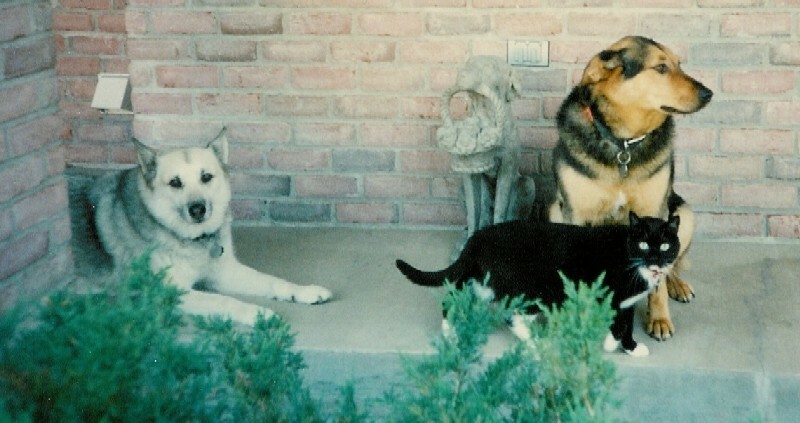 Whitey is shown with Ashley and Shadow.